Smokers admitted to mental health hospitals are being handed E-cigarettes in a bid to help them quit the habit. Nottinghamshire Healthcare NHS Foundation Trust is giving E-Burn – a type of E-cigarette specifically designed for use in ‘high security’ environments – to patients as part of efforts to be a smoke-free organisation. Take action to stop a tax on vaping! 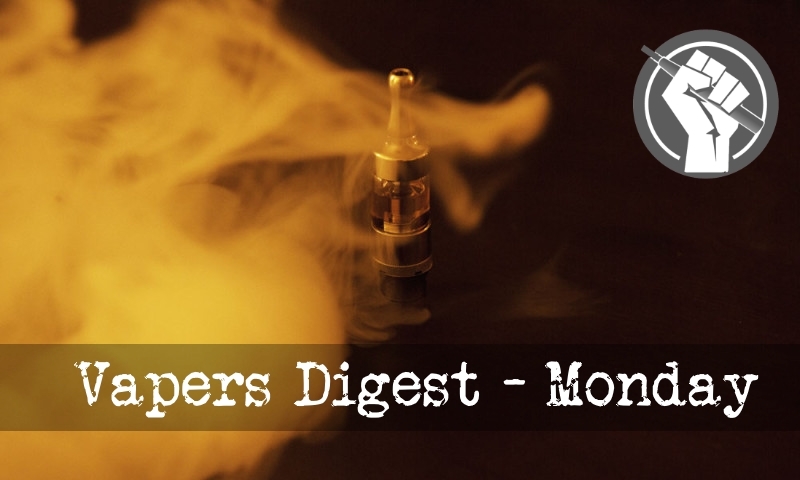 On September 8, 2017, Governor Dannel Malloy delivered a compromise budget to the Connecticut legislature that contains an outrageous 75% wholesale tax on vapor products and a $2.00/oz tax hike on smokeless tobacco (bringing the total tax to $3.00/oz). Complicating matters is the fact that Connecticut has been without a budget for more than two months. This is contributing to an urgency to pass a budget this week. Vapers across Canada have come together to let the Government know that they will not be muzzled by the current proposed legislation to regulate their industry. Bill S-5, which was passed in the Senate this past June, is slated for debate in the House of Commons this fall. Vapers want to make sure that their voices are heard. Bill S-5 contains clear Freedom of speech infractions & general censorships that are not acceptable. Whether it’s smuggling, theft or illegally pushing vapes to underage buyers, as the electronic cigarette market has grown so has the amount of crime it’s attracted. Then, once criminals are placed into prison, they face further inconvenience if they used to be a smoker or vaper. Many have become accustomed to using online Chinese stores for dirt-cheap products, frequently being delivered displaying false valuations on the packet in order to avoid paying tax. It may come as a surprise to discover that China imports nearly all of its supplies of eliquid. Fears that an increase in vaping will lead to an increase in smoking among young people via a ‘gateway’ effect have been used to support greater regulation of vaping products or to advocate for continued prohibition of vaping products containing nicotine in countries that do not allow their sale, possession or use by adults.6 Are these reasonable responses to these research findings? Are your children in immediate danger of addiction? News at eleven! The college’s board of trustees earlier this summer approved a change in policy that prohibits smoking or using tobacco products. They cited the desire for a healthier environment for students and employees. The move to a tobacco-free campus had been under discussion for several years. The college held three public forums, formed an advisory committee and reviewed results from two tobacco use surveys, one recent and the other from 2011. With any “treatment” to stop smoking, there seems to be side effects. E-Cigarette users are clearly explaining below what effects they are experiencing with their use of this product. The question is VERY clear to the participant . With the question comes an answer. Science 2.0 exists to, in their words, “modernise science communication, publishing, collaboration and public participation”. Some might be wondering how science has been served with their coverage of a supposed bacteria threat to vapers – and how their response promotes public participation. From January 2017, vaping enthusiasts will see the places where they can legally use electronic cigarettes and other tobacco-free smoking devices in Portugal drastically limited. This comes as the government moves to have the current smoking ban rolled out to apply toincreasingly popular alternative devices. In addition, stepping outside for a cigarette could also become a thing of the past in public places like schools and hospitals.